Patients seeking UK expertise in a community-hospital environment may choose UK Good Samaritan Hospital. We offer state-of-the-art medical care services in downtown Lexington, all private rooms and a high level of personal care. With more than 600 clinical and ancillary staff and a medical staff of more than 600 physicians, UK Good Samaritan is able to offer a broad range of health care services to meet the needs of the residents of central and eastern Kentucky. UK Good Samaritan Hospital is home to the second-largest orthopaedic and joint replacement program in Kentucky. A state-of-the-art diagnostic center provides walk-in appointments for MRI and X-ray. A 50,000-square-foot medical office building is conveniently connected to the hospital by a pedway and is home to specialty physicians including orthopaedics, internal medicine and plastic surgery. 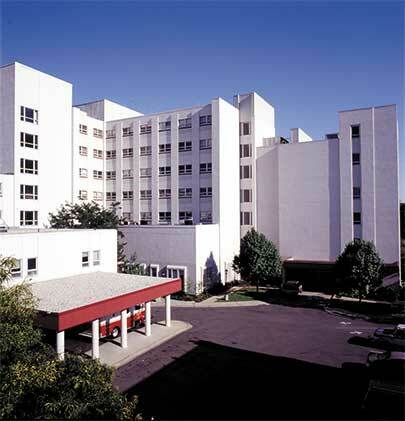 UK Good Samaritan Hospital is an acute-care facility with 180 licensed beds. Founded in 1888, the hospital has a long tradition of providing exceptional patient care in a community-hospital atmosphere. Its acquisition in July 2007 by UK HealthCare added the resources of a major health care system. With more than 600 clinical and ancillary staff and a medical staff of more than 600 physicians, UK Good Samaritan is able to offer a broad range of health care services to meet the needs of the residents of central and eastern Kentucky. All patient rooms in the hospital are single-occupancy, ensuring each patient privacy and individual attention. Learn more about pre-admission testing and surgical care at Good Samaritan. UK HealthCare Good Samaritan Hospital prides itself on providing state-of-the-art medical care in a patient-focused, community-hospital setting. Visitors and patients may park in the hospital garage adjacent to South Limestone. Enter via E. Maxwell Street. There is no charge for parking. Free parking is also available at the Medical Office Building and the Professional Arts Center. Get directions to UK Good Samaritan Hospital. Get directions to UK Good Samaritan Medical Office Building. Get directions to UK Good Samaritan Professional Arts Building.